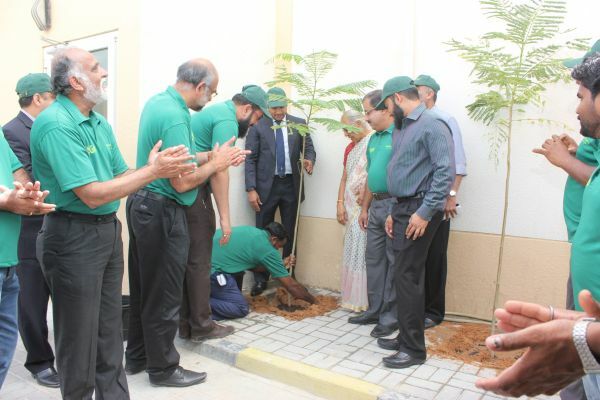 photo caption: Patrons join management and staff at a tree planting ceremony outside Zulekha Hospital in Sharjah to mark World Environment Day. Patients have joined management, doctors, nurses and other members of staff at Zulekha Hospital to mark World Environment Day in a series of initiatives to save energy and water. The Hospital Design and Infrastructure conference at The Address Hotel Dubai Mall.